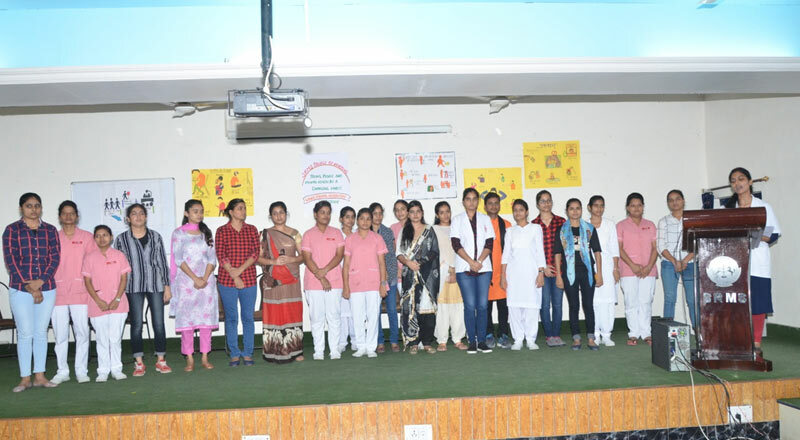 On 10th October 2018 World Mental Health day was celebrated by SRMS students in Shri Ram Murti Smarak college of nursing. The students prepared psychodrama to show the side effects of mental work, pressure and educate the people on how to overcome these problems. The GNM 1st year, GNM 2nd year and B.Sc. 1st-year students were present at psycho Drama in Hospital OPD and Mini Auditorium. They were given Health Education on the theme of Mental Health Day “Young People and Mental Health in a changing world”.